Searching for an alternative to bleached sugar? 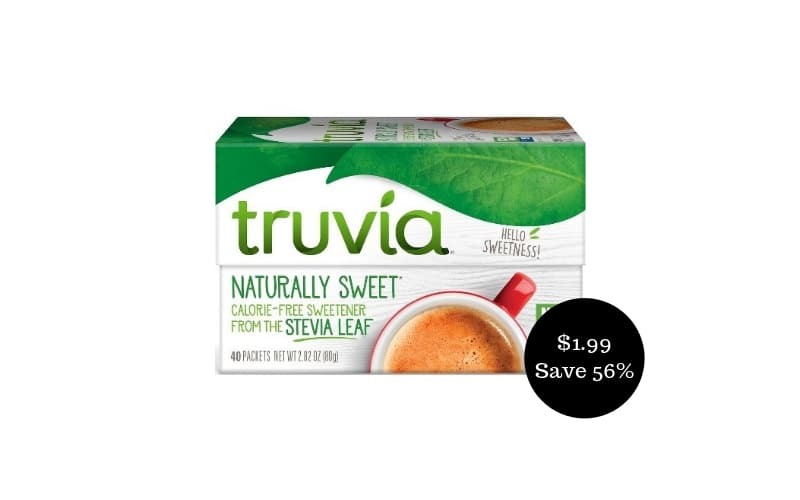 Check out stevia while saving some dough in the process. 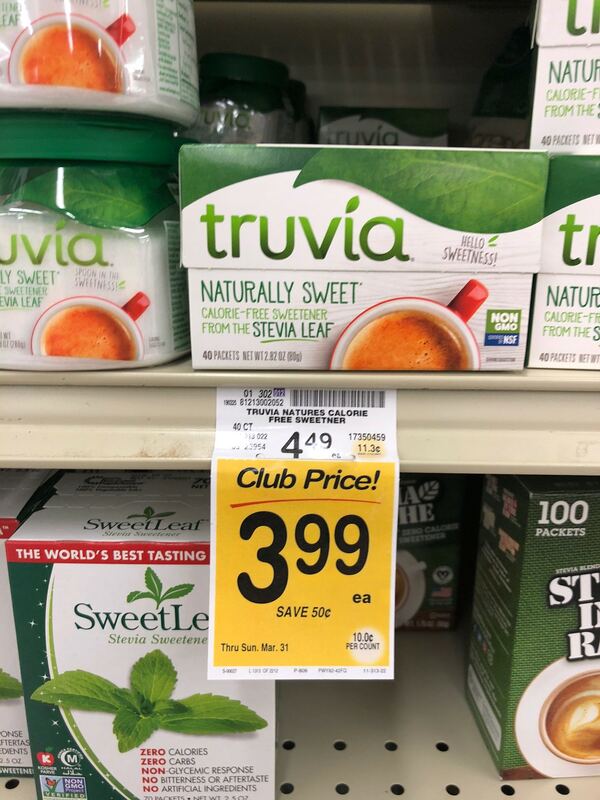 Shop at Safeway grocery stores through March 31st and pick up a box of Truvia Naturally Sweet Calorie-Free Sweetener on sale for $3.99. 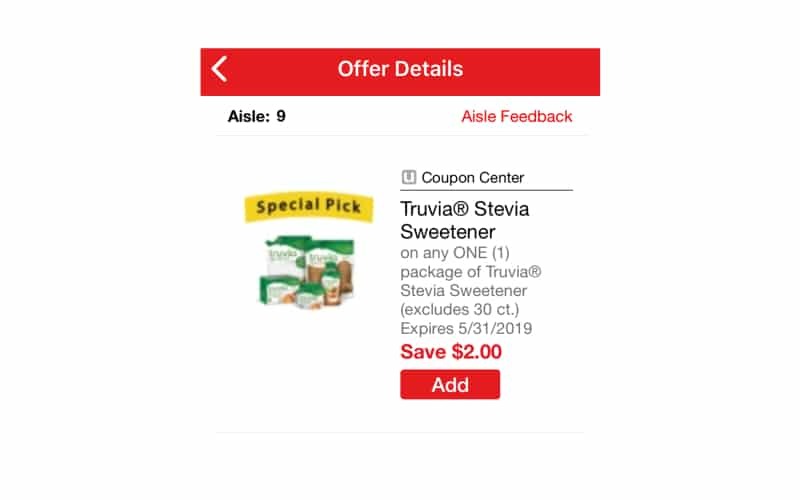 Before heading over to shop, download the $2/1 Truvia Stevia Sweetener (excludes 30 ct.) Just for U digital coupon and then use your Safeway card at the register. You’ll end up paying $1.99 – just shy of $0.05 per serving – after the deal. That’s going to save you 56%! Looking for more deals? Bush’s Chili Beans for $0.49, fresh blackberries for $0.69, Suja Juice for as low as $0.60, Crest Toothpastes only $0.99, Cache Valley Cheese for $1.00, Fiji Water for $0.50, and make sure to check out the Safeway weekly ad coupon matchup. Final price = $1.99, save 56%!